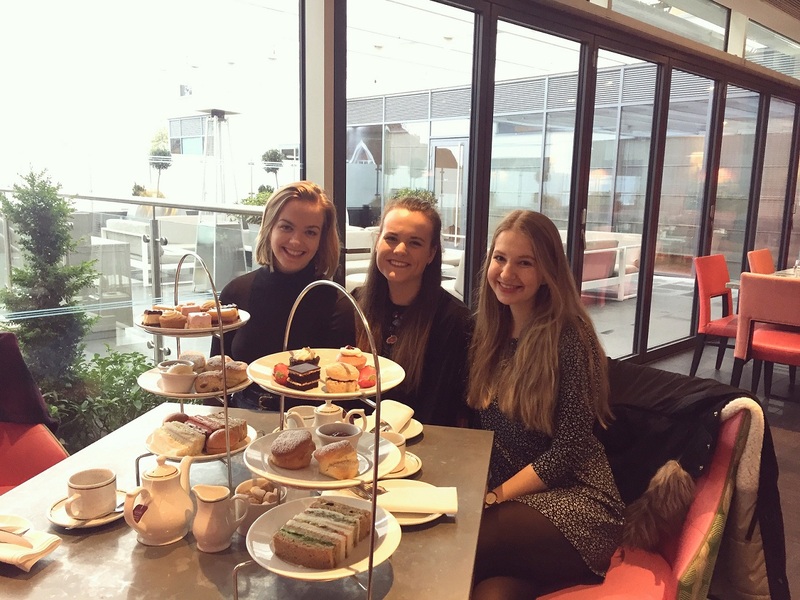 Last Sunday we took our housemate for afternoon tea at the Guildford Harbour Hotel for her birthday. This is a British tradition not to be missed if you study in England. This tradition was introduced in Britain in the early 1840s and is a meal composed of sandwiches, scones with cream and jam, sweet pastries and cakes, served on a classic etagere. Afternoon tea was initially introduced as a private social event, then changed to a formal occasion on a larger scale, known as ‘tea receptions’. Today most British people enjoy Afternoon Tea as an occasional indulgence or to celebrate a special event. The afternoon tea at Guildford Harbour Hotel was really good; the food was amazing and the location is very nicely decorated. It’s just north of Guildford High Street, just next to the event location G Live.